Our mission at Fetch Marketing is to provide small businesses the strategic marketing direction they need to reach their growth goals. And just like your best canine companion, we want to be that reliable and enthusiastic partner who truly cares about your success. We work to develop a customized marketing blueprint to help guide clients to the results they are looking for. Our mission at Fetch Marketing is to provide small businesses the strategic marketing direction it needs to reach its growth goals. And just like your best canine companion, we want to be that reliable and enthusiastic partner who truly cares about your success. We work to develop a customized marketing blueprint to help guide clients to the results they are looking for. 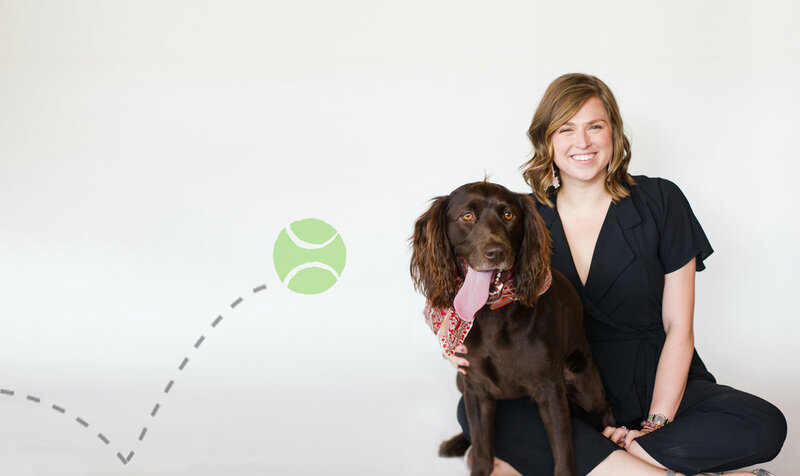 We’re ready to fetch your goals and ideal clients! Whether you’re launching a startup or ready to take your established business to the next level, we work to develop solutions to create the best version of your brand and find creative ways to grow on your own terms and budget. We are proud to say that we do not offer a one-size-fits-all solution, and through our unique process, we are able to cater to each client’s needs. From developing detailed social media plans, so there are no more questions on what to post, to discovering new marketing tactics to meet the goal of increasing a brand’s awareness, we have done it all! We look forward to continuing to serve our current clients and welcoming new clients to the Fetch Marketing family.